Easy floor planning tool helps you draw easy floor plans in minutes. The best easy floor planning tool is your perfect choice to start your floor plan projects. In architecture and building engineering, a floor plan (Scottish plan) is a drawing to scale, showing a view from above, of the relationships between rooms, spaces and other physical features at one level of a structure. Dimensions are often drawn between the walls to specify room sizes and wall lengths. Floor plans may also include details of fixtures like beds, water heaters, furnaces, etc. Floor plans may also include notes for construction to specify finishes, construction methods, or symbols for electrical items. The best easy floor planning tools help you with remodeling and decorating projects. You can drag and drop rooms or create the floor plan wall by wall. There are features for designating the color of whole rooms for the walls and the plant species, the sofa type and more. Easy and simple floor planning tool gives you a bird's-eye view of a space, like indoor rooms and outdoor areas. A library of standard floor plan symbols makes it easy to drag and drop furniture, appliances, plants, and more wherever you need them - and to rearrange them whenever you change your mind. 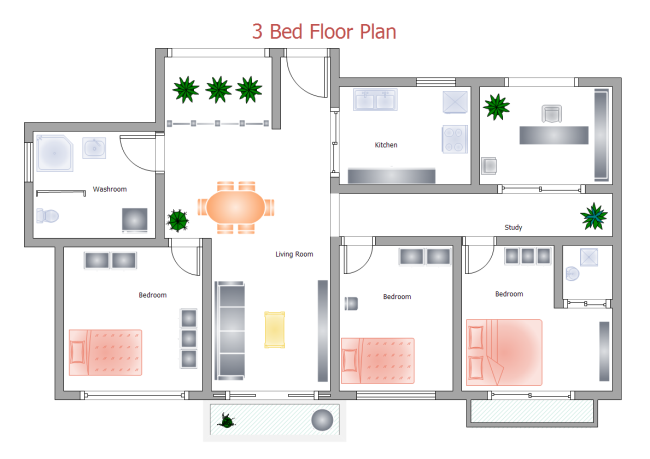 Free download floor plan designer here. 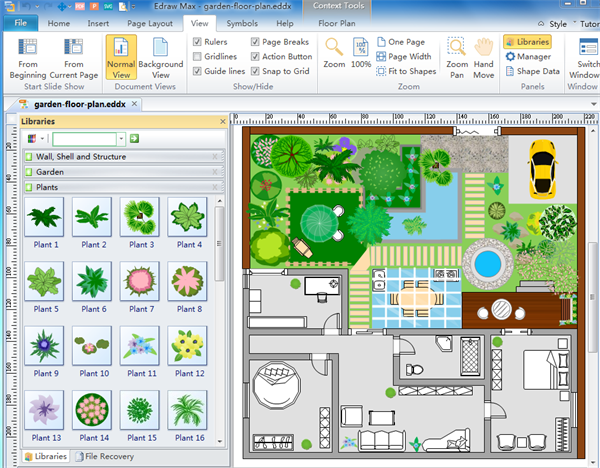 Discover why Edraw is an awesome easy floor planning tool to design floor plans: Try it FREE. Edraw Max is a powerful tool and software for people who wants to make easy and simple floor plans quickly. It features a simple tool set with which you can create whole rooms, walls, drag and drop windows, doors, plumbing fixtures, furniture, stairs, people, cars and more from a library. You may start to design your own floor plans now! 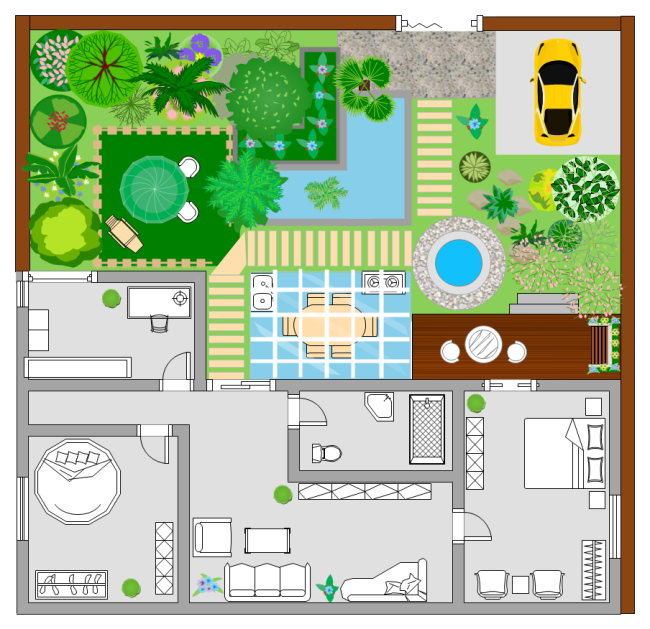 The picture below a beautiful garden floor plan template. You may download it and modify the template to make it your own. Just simply click the picture then it will jump to free download page. The picture below a beautiful home plan template. You may download it and modify the template to make it your own. Just simply click the picture then it will jump to free download page.